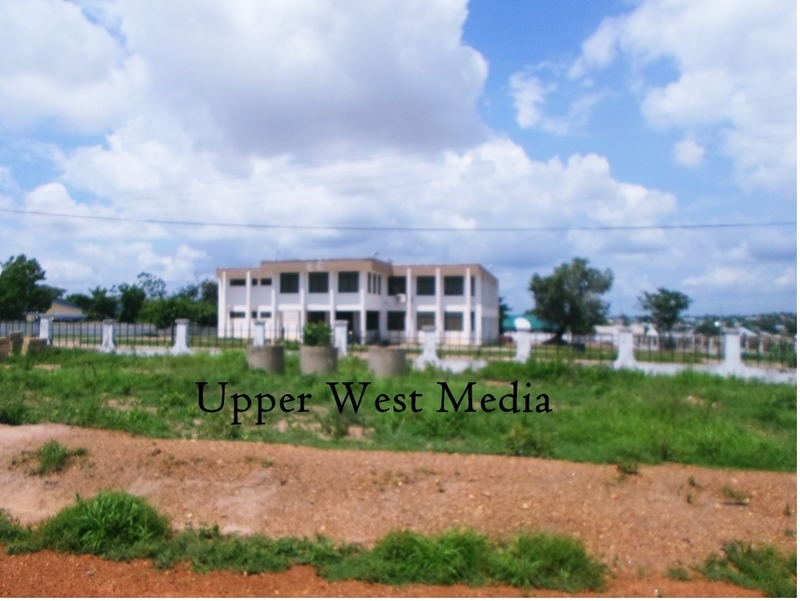 The Upper West Region of Ghana covers a geographical area of approximately 18,478 square kilometres. 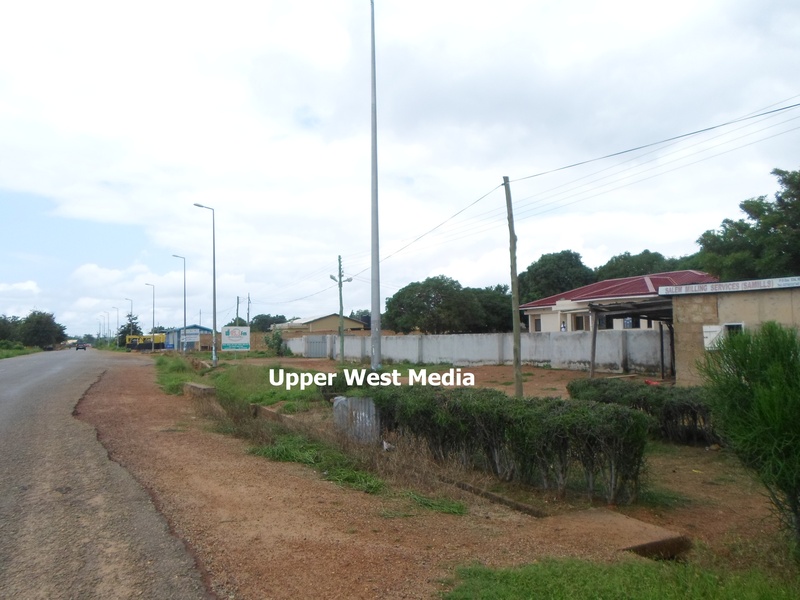 This constitutes about 12.7 per cent of the total land area of Ghana. The region is bordered on the North by the Republic of Burkina Faso, on the East by Upper East Region, on the South by Northern Region and on the West by Cote d’Ivoire. The capital and largest city is Wa. 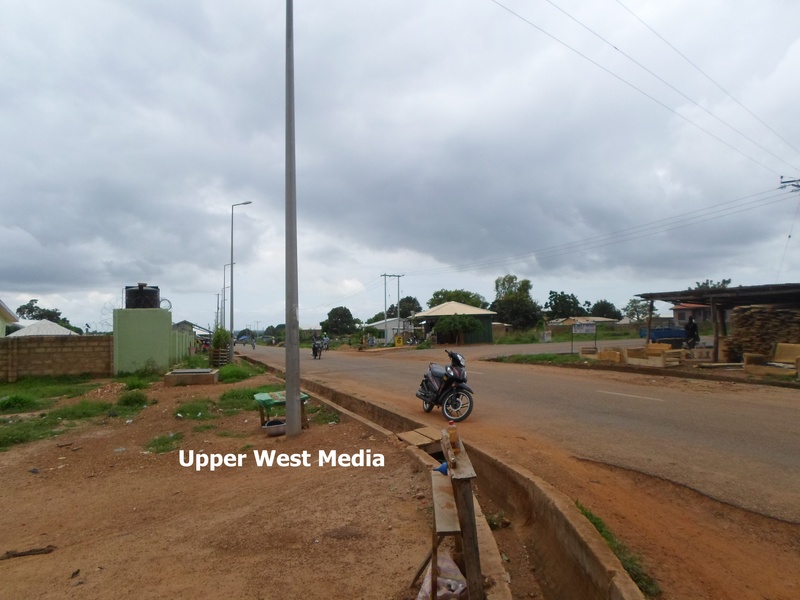 Other towns include Nandom, Daffiamah, Jirapa, Kaleo, Nadowli, Lawra and Tumu. The major ethnic groups are the Dagaba, Sisaala and Wala. The Dagaba live in the western part of the region, the Sisaala live in the eastern areas, and the Wala live in Wa and a few of the nearby villages. The Sisaala and Dagaba are mostly Christian and animist, while most Wala are Muslim; Wa is the largest predominantly Islamic city in Ghana. Waali, the language of the Wala, and the Dagaare language are mutually intelligible. The major economic activity of the region is agriculture. Crops grown include corn, millet, groundnuts, okro, shea butter, and rice. Sheep, goats, chickens, pigs and guinea fowl are raised for meat and eggs. Because the region is poor and the dry season is long, extending roughly from October to May, many people leave the area to work in the southern part of Ghana for at least part of the year. A distinctive feature of the region’s culture is the brewing of pito (pronounced PEE-toe) a sweet, mildly alcoholic beverage derived from millet. The pito is sold by the brewers in open air bars and drunk from calabashes. The region is administered politically from Wa. The main administrative structure at the regional level is the Regional Co-ordination Council (RCC), headed by the Regional Minister. Other members of the RCC include representatives from each District Assembly, regional heads of decentralized ministries, and representatives of the Regional House of Chiefs. The region has five administrative districts namely, Wa, Nadawli, Jirapa-Lambussie, Lawra and Sissala District Assemblies. A Municipal/District Assembly, headed by a Chief Executive nominated by the President and approved by the Assembly Members, administers each district. Two-thirds of the members of the Assembly are directly elected. The other one-third is appointed by the Central Government in consultation with local leaders. 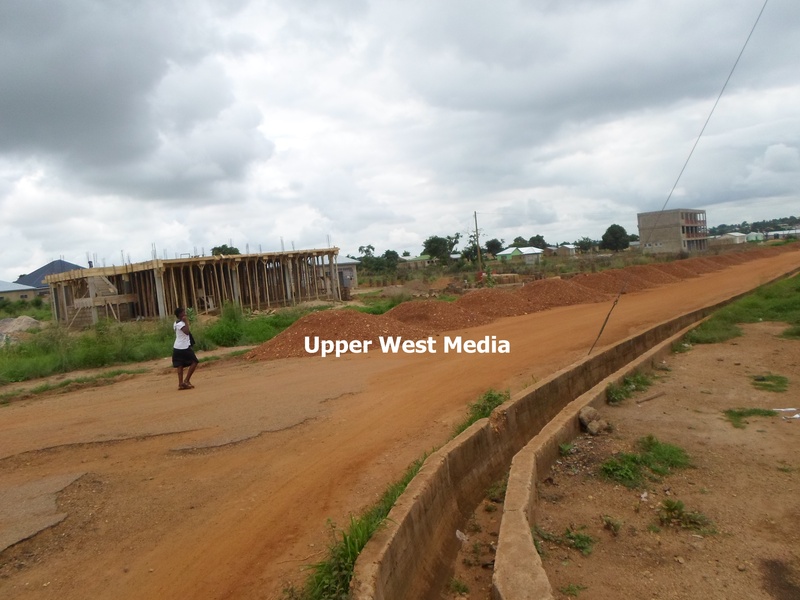 The districts are autonomous with regards to the planning, budgeting and implementation of projects. In addition, Area/Town Councils/Unit Committees assist in the performance of key roles. There is also effective traditional leadership and vibrant Youth Development Associations to facilitate efficient and effective mobilization of local resources. The region currently has eight political parliamentary constituencies namely, Wa Central, Wa East, Nadawli North, Nadawli South, Jirapa, Lambussie, Sissala and Lawra-Nandom. 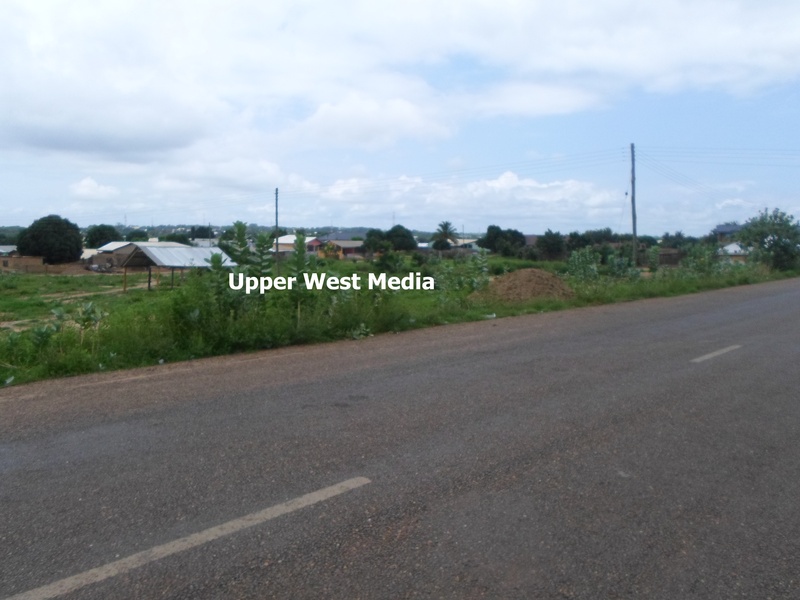 Wa West district carved out of the existing Wa district with Wechiau as its capital; Wa East district with its capital at Funsi, and Sissala West district with Gwollu as the district capital. The total population of the region is 576,583. This represents three per cent of the national population. The population of the region is not evenly distributed among the five districts. Wa has the largest population of 224,066, representing 38.9 per cent of the region’s population, while the remaining districts have about 15.0 per cent each. The region is located in the guinea savannah vegetation belt. The vegetation consists of grass with scattered drought resistant trees such as the shea, the baobab, dawadawa, and neem trees. The heterogeneous collection of trees provides all domestic requirements for fuel wood and charcoal, construction of houses, cattle kraals and fencing of gardens. The shorter shrubs and grass provide fodder for livestock. The climate of the region is one that is common to the three northern regions. There are two seasons, the dry and the wet seasons. The wet season commences from early April and ends in October. The dry season, characterized by the cold and hazy harmattan weather, starts from early November and ends in the latter part of March when the hot weather begins, with intensity and ends only with the onset of the early rainfall in April. The temperature of the region is between a low of 150C at night time during the harmattan season and a high of 400C in the day during the hot season. Of the total population of 576,583 enumerated in the region, 95.1 per cent are Ghanaians by birth while 2.9 per cent constitutes naturalised Ghanaians. Other ECOWAS nationals constitute 1.2 per cent whereas African Nationals other than ECOWAS (0.3%) and Non- African nationals (0.5%) account for 0.8 per cent. In the region, there are two predominant ethnic groups, the Mole Dagbon (75.7%) and the Grusi (18.4%). The Wala (16.3%) of the Mole Dagbon and the Sissala (16%) of the Grusi are the major subgroupings in the region. Other indigenous ethnic groupings collectively constitute an additional 5.0 per cent of the population in the region, while all Akan ethnic groups put together constitute 3.2 per cent. There are wide variations within the districts. For example, in Nadowli (91.7%) and Lawra (90.5%), the Dagaabas constitute more than 90.0 per cent of the population. The Dagaabas who are also in the majority in Jirapa-Lambussie (71.8%) constitute the largest single ethnic group in Wa. Although the Sissala make up only 16.0 per cent of the population of the region, they constitute 74.9 per cent of the population of the Sissala District and an important minority ethnic group in Jirapa-Lambussie (13.5%). The Walba (Wala) also make up 16.3 per cent of the region’s population but are concentrated in Wa (40.3%). There are three main religious groups in the region, Christianity (35.5%), Islam (32.2%) and Traditional (29.3%). There are very marked differences among the districts in relation to religious affiliation. Christians make up the largest religious group in two districts Nadawli (58.5%) and Lawra (56.4%), with a very strong presence in Jirapa-Lambussie (42.5%) and Wa (24.7%). The Islamic religion has most of its adherents in Sissala (70.1%) and in Wa (44.4%). Adherents of traditional religion make up 44.8 per cent of the population in Jirapa- Lambussie, with fairly good presence in Lawra (34.1%), Wa (27.1%) and Nadawli (25.0%). Catholics constitute the majority of Christians in all districts, ranging from 69.3 per cent in Wa to 96.1 per cent in Jirapa-Lambussie. The Pentecostal/Charismatic group is the second largest denomination, after Catholics. Other Christian groups are as important in Wa as the Pentecostal/Charismatic and are second to Catholics in Sissala. Information on school attendance was collected from all persons 3 years or older. Such information relates to full time education in an educational institution. Such institutions include nursery, kindergarten (pre-school) primary middle, junior secondary, secondary/senior secondary/vocational/commercial, teacher training college, university or similar types of school where a person spends or has spent at least four (4) hours a day receiving general education in which the emphasis is not on vocational skill or trade training. Although the information on school attendance was collected for all persons 3 years or older, the official school entry age in the country is 6 years. Much of the analysis therefore focuses on school attendance of persons age 6 years and older. At the regional level, the proportion of the population aged 15 years or older that is not literate in any language is 73.4 per cent, which is much higher than the national average of 42.1 per cent. The overall level of illiteracy in three of the five districts (Nadawli, Sissala and Jirapa-Lambussie) is higher than the regional average of 73.4 per cent. The major occupations in the region are Agriculture and related work (72.0%), Production and Transport Equipment work (12.1%), Sales work (5.2%), Service work (4.0%), and Professional, Technical and related work (4.0%). The five, together constitute at least 96.0 per cent of the occupations in each district. In all districts, the order of Agriculture as the number one occupation is maintained. Production and Transport Equipment work which ranks second at the regional level, retained that position in all districts. Professional and Technical work (the third major occupation region wise) retains the third position in all the districts except Wa where it ranks fourth. 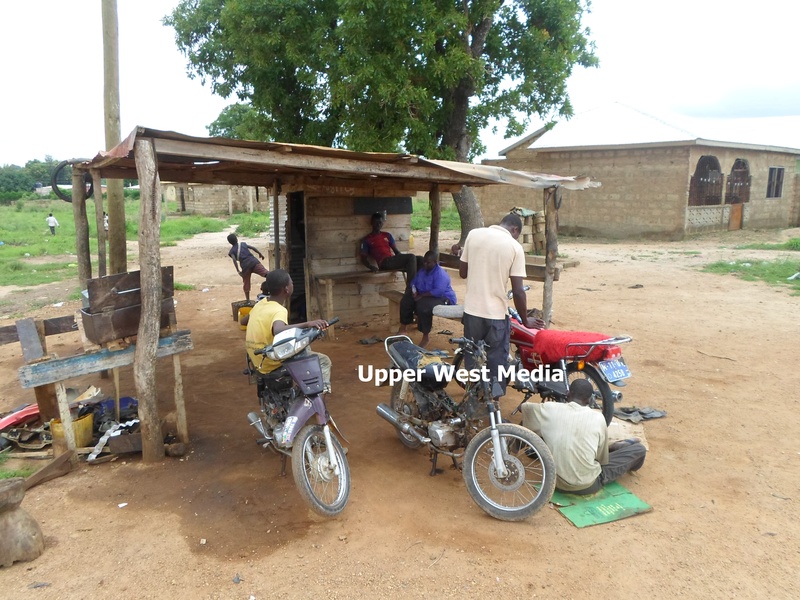 Sales work, which ranks fourth at the regional level, maintained this position only in Lawra; it ranks third in Wa and fifth in the remaining three districts. The three major industrial activities at the national level are Agriculture, including Hunting, Forestry and related workers (49.1%), Wholesale and Retail trade (15.2%) and Manufacturing (10.9 %). The three together account for 75.2 per cent of the industrial activities of the economically active population (aged 15 years or older). The three major industrial activities at the regional level are also Agriculture, including Hunting, Forestry and related workers (73.3%), Manufacturing (8.9%) and Wholesale and Retail trade (4.9%), together accounting for 87.1 per cent of industrial activities in the region. The proportion engaged in education in the region (2.9%) is slightly lower than in the country (3.4%). These four are the major industrial activities in each district, with Agriculture as the major industrial activity in all districts and for both males and females. The proportion engaged in Agriculture ranges from 67.7 per cent of the economically active population in Lawra to 85.3 per cent in Sissala. The major ethnic groups in the region fall under the broad generic categories of the Mole Dagbon (75.7%) and Grusi (18.4%). The major languages of the region are Dagaare, Sissali, Wale and Lobi. The people of the region have a similar style of architecture as that of Upper East. Houses are constructed mainly with mud, with mostly rectangular rooms unlike in Upper East where rooms are predominantly rounded. The architecture of the region has been influenced by the Larabanga Mosque which was built by the Moslem immigrant traders from Northern Africa, mainly Mali, who later settled in Wa. Because the Christian influence was already strong in the Upper East and Northern Regions at the time, this architectural style could not be passed on to the other areas. The houses are built in the form of compounds with gates and with walls plastered with mud with cement as the main material of the floor. The rooms are mostly decked with mud, and in certain instances, houses are built up to one storey and roofed with iron sheets or thatch from grass. Most of these locally constructed storey buildings can be found within the chief’s palaces, all over the region. Festivals such as Kobine, Kakube, Zumbeti, Willa, Dumba, Paragbiele, Bagre, Kala, Bongngo and Singma portray the way of life of the people of the region. For instance, the Dumba, which is celebrated by the Walas, is to usher in the New Year. It is at this festival that the Chief is assessed as to his physical fitness to continue to rule his people. During the festival, a live cow is tied and confined to the ground after which the Chief is asked to jump over it without any part of his body or his clothes touching it. If the Chief is able to successfully jump over it, then, it is a clear indication that he would live to continue ruling his people but if he fails, it is a bad omen which presupposes that he would die shortly because he is considered weak and has no long life to rule anymore. The Kokube festival celebrated by the people of Nandom and the Kobine by the people of Lawra have a common significance and are celebrated to offer thanks to God through the ancestors for blessing them with a bumper harvest. Culture is not only observed through the celebration of festivals but can be seen also in handicrafts. In Upper West, the people are engaged in spinning, weaving and smock designing. They produce very beautiful musical instruments like the xylophone and engage in pottery, blacksmithing and carving. Areas of tourist attraction areas in the region include the Wa Naa’s Palace and Dondoli Sudamic (Larabanga) Mosque, Jirapa Naa’s Palace, Nandom all-stone Gothic Art Church and the Hippopotamus Sanctuary at Wechiau. 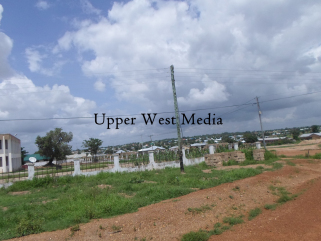 These apart, areas like the Gwollu Slave Defence Wall and Slave site caves as well as George Ekem Ferguson’s tomb attract tourists to the region. October 12, 2015 in Upper West Gallery. 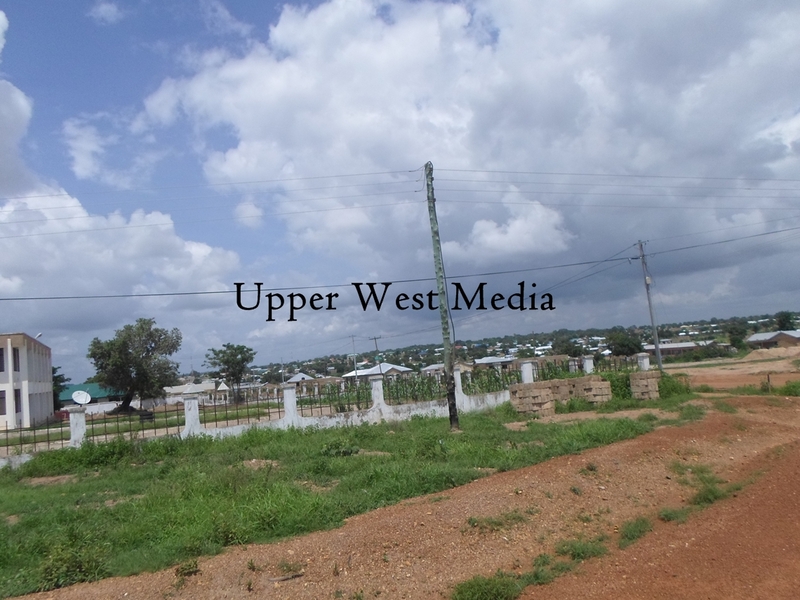 Tags: Upper West Region Of Ghana.